after her death in 1976. Her birthplace Torquay or Torbay (Great Britain) is a busy site when the Christie Week is held to coincide with her birth date on 15th September. The revenue generated, is believed to bring the town millions of pounds each year. 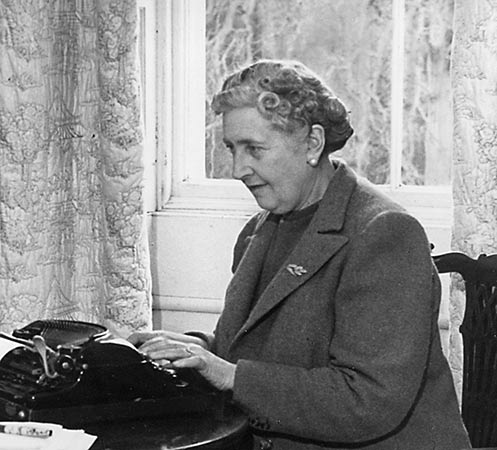 Agatha Christie started out as a home educated nurse and became a celebrated writer with over 75 detective works to her name. Her play, ‘The Mousetrap’ is well known as the longest running play in history. The versatility of her art is proven by the singularly well rounded characters wrought by her pen. From the eccentric Belgian detective Hercule Poirot with his ‘little grey cells’, to the twinkling, innocent perceptiveness of old lady Jane Marple, her principal figures are timeless. Hercule Poirot first brought her fame with “The Mysterious Affair at Styles’ (1920) and continued undiminished till his death in ‘Curtain’ (1975). Sir Peter Ustinov has played Poirot to perfection in the 1970’s television series and was around as 2010’s Christie week unfolded. Last year, the celebratory ‘week’ was bigger and better. Torbay Cultural Partnership coordinated the fifth annual Christie week from the 13th till the 19th of September. Nearly 40 events were concentrated along the English Riviera in Torquay, Paignton, Brixham and Devon. These included talks; audio guided walking tours, debates, tea – dances, radio shows, theatre plays and open air film screenings. radio performances of ‘Murder on Air’ brought to life by the Agatha Christie theatre company. A murder mystery ball in Torquay promised spine chilling adventure at the venue of Agatha Christie’s honeymoon hotel as guests were expected to solve the ‘murder’ on location. A welcome addition is the free book borrowing from Torquay libraries to promote her works. BBC Radio 4 pitched in with afternoon readings from Agatha Christie’s works featuring the mysteriously invisible character Mr Quin among others. performed and Warwickshire held the Throckmorton Literary Festival. The Southbank Centre in London played host to a bevy of her fans and a literary discussion. *Published earlier as a box feature for DAWN Newspaper, Karachi, Pakistan.